Find an opportunity to improve the technology in the vinyl industry. A working prototype of the technology must be included. Technology in the record industry hasn’t progressed since the 1970’s, creating 6+ month bottlenecks for most vinyl pressing plants. Record pressing can’t keep up with the current vinyl demand. Sharing music has long been part of music culture, but meaningful music sharing has been lost in the digital age. Giving a hand-decorated, personally curated CD or mixtape holds significantly more meaning than sharing a Spotify playlist. sharing music is unfulfilling in the digital age. Bring together the passion of sharing music and the need for new vinyl production methods with an open-source record cutting community. Design an accessible new way to cut records. 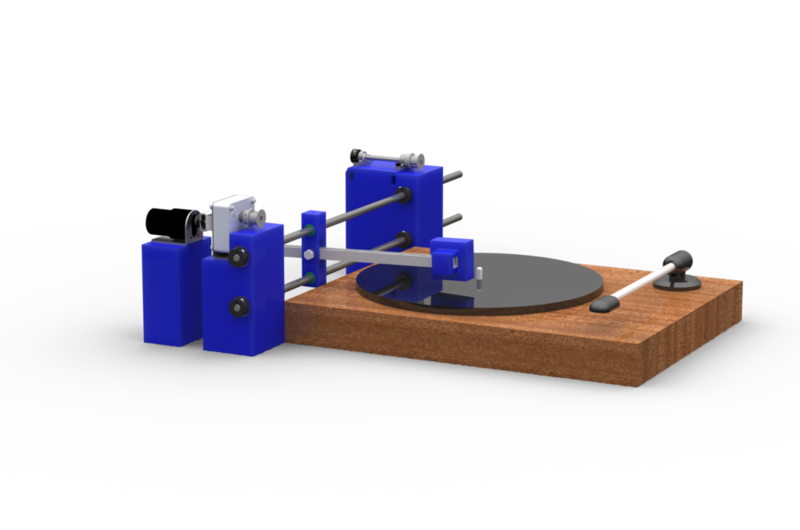 Homegroove is a record cutter that attaches directly to any record player. The final product uses audio waves to control a precision needle. As the record spins on the turn table, the needle etches into the vinyl. Developed, built, & tested by our team's engineers. An open-source website was created to enable anyone with the ability to build their own Homegroove. The open source model ensures the prototype can evolve and improve as other makers, engineers, and music sharers experiment with the build. Click here to view the full website.